Data, Truth & Beauty: BioArtTechHack at GV art gallery, London. An afternoon of molecular sculpture, data hide and seek, and playful programming. An evening of presentations and discussion about Data, Truth & Beauty in science and art. GV art are hosting the launch event of our second publication, Inspired by… Images from Science, on Thursday 28 February, 6-9pm. Join the students and staff to enjoy an exhibition of selected works, try your hand at some art/science activities, and contribute to the growing discussion about interdisciplinary education and collaborative practice. 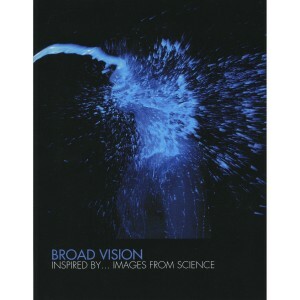 Copies of Inspired by…Images from Science will be available at the event for the discounted price of £12.00.